We just published a new version of Picasa Mobile, 3.0.7. The major highlight of this version is allowing the users to see larger thumbnails. 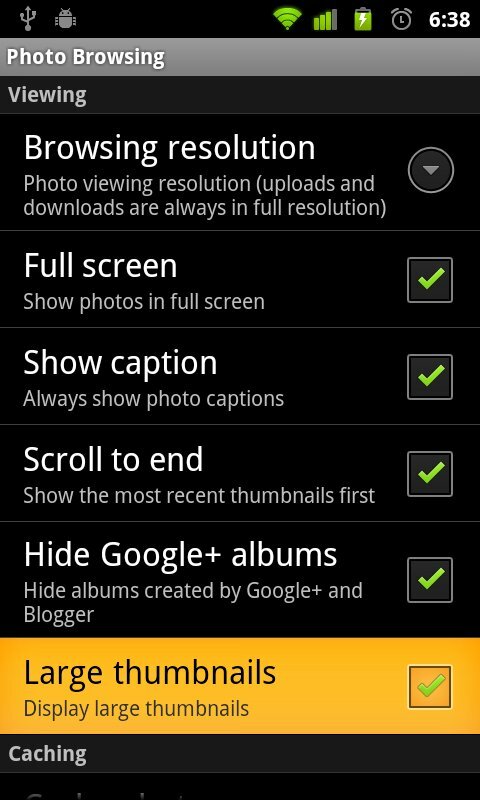 This option can be activated from Settings -> Photo Browsing -> Viewing, as shown below. 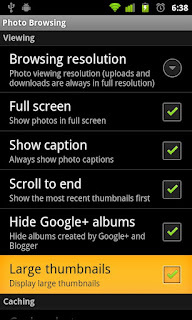 When will "Picasa Mobile" support Galaxy Note2? "This app is incompatible with your Chungwa Samsung GT-N7100"
Note: Chungwa is my telco in Taiwan.